A key step in achieving greater production values that too often gets overlooked is professional sound quality. Part of the problem is that even some of the more higher end video cameras are outfitted with sub-par on-board microphones. Put simply, audio needs to be given its own special care and oversight. We not only have the proper mics and sound mixing equipment to capture quality audio but good ears as well. Green Light N Go LLC’s Glenn di Benedetto with Boy George backstage at Blue Hills Bank Pavilion, 2015. Green Light N Go LLC’s Founder, Glenn di Benedetto is also a professional songwriter who has performed with such legendary acts as Culture Club and recently had one of his singles included on the latest Rock Band game update! 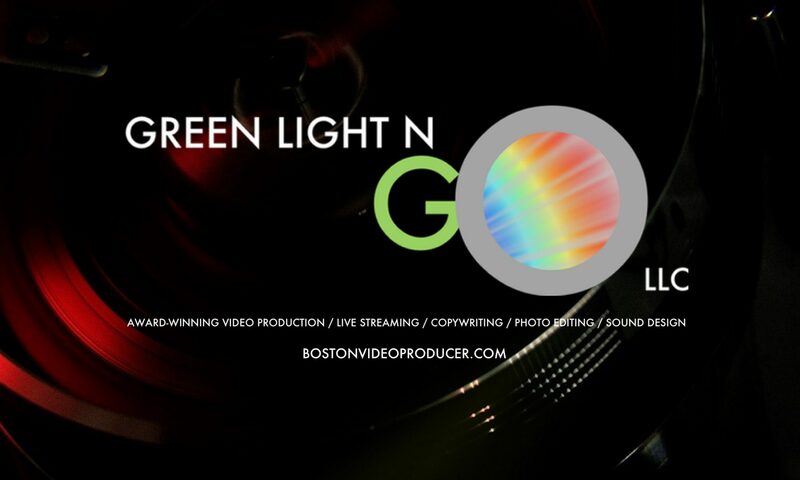 So whether you are looking to develop a branded podcast, record voiceover, capture an interview outside without unwanted noise, or even seeking to create original music for your brand, Green Light N Go LLC is uniquely qualified to help.